Fans camped out overnight on Hollywood Boulevard in anticipation of Monday's Walk of Fame star ceremony for chart-topping boy band NSYNC. 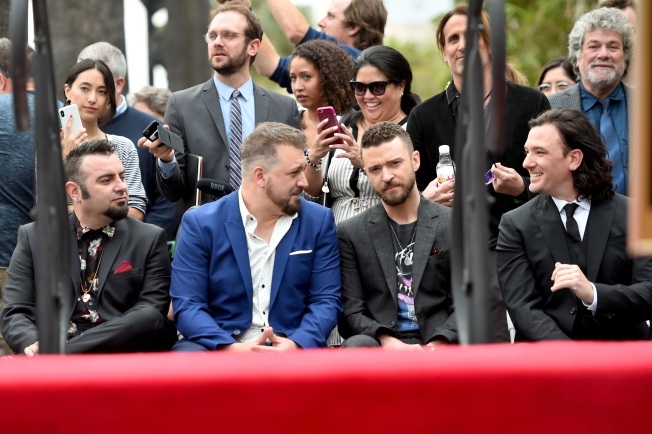 Justin Timberlake and bandmates Lance Bass, JC Chasez, Joey Fatone and Chris Kirkpatrick were joined by talk show hosts Ellen DeGeneres and Carson Daly in speaking at the ceremony at 7080 Hollywood Boulevard, near La Brea Avenue. The star is near those of the boy bands Backstreet Boys, Boyz II Men, New Kids on the Block and New Edition. The ceremony was held one day after Timberlake performed the second of two weekend concerts at the Forum in Inglewood. NSYNC has sold more than 30 million records in the U.S. and 42 million more in the rest of the world. A dozen of its singles made either the Top 40, adult contemporary, dance, Latin, country or rhythm and blues charts. The group also had record sales for its concert tours, with the first 52 dates of its worldwide "No Strings Attached" arena tour selling out in record time. NSYNC's first single, "I Want You Back," released in 1996, set records for fastest single by a new act reaching the charts (one week); the longest Top 10 stay for a new group (eight weeks); and the fastest newcomer to hit the Top 10 (three weeks). The group's self-titled debut album, released in 1997, sold more than 10 million copies in the U.S., reaching No. 2 in the domestic charts, first on the German charts and second in Austria. NSYNC's second album, "No Strings Attached," released in 2000, reached the top of the charts in the U.S. and Germany. 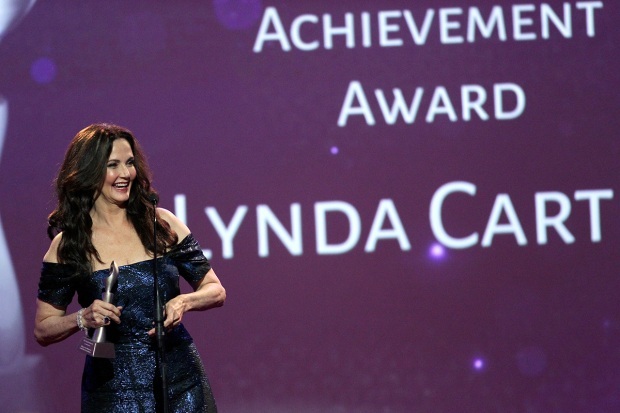 Its most recent album, "Celebrity," released in 2001, was also first in the U.S. and Germany. NSYNC's other memorable singles include "Bye Bye Bye," "This I Promise You," "Girlfriend" and "It's Gonna Be Me." NSYNC went on what it described as a hiatus in 2002 and has not performed together since then. The group's name stemmed from a comment by Timberlake's mother on how "in sync" the group's singing voices were. The name is also a play on the last letter of each of the initial member's names, which included bass singer Jason Galasso, who dropped out just before it signed with Trans Continental Records. A pop-up store selling the group's official merchandise opened Saturday at the Hollywood & Highland complex and will remain open through Tuesday.